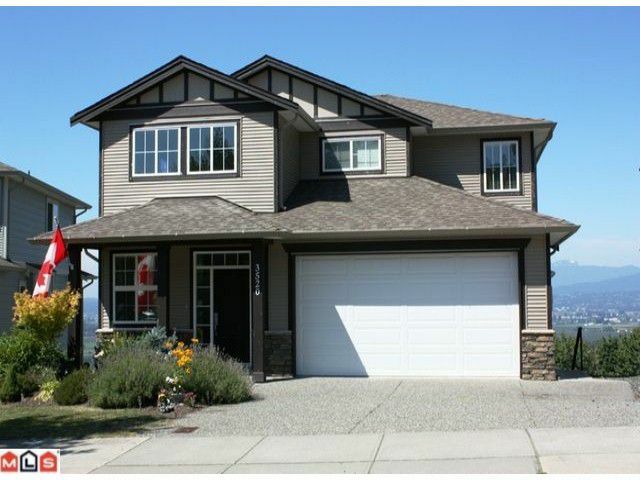 Executive 2 storey home with a spectacular panoramic view of the North Shore Coastal Mountains, Fraser River, Matsqui Prairie and surrounding Fraser Valley. Fully finished walkout basement plas a legal 2 bedroom two level suite with private entrance, in-suite laundry and private sundeck with the same spectacular valley view. Spacious open concept floor plan with deluxe finishing features of granite counter tops, hardwood floors and decorative crown mouldings, etc. Close to Prince Charles Elementary. Within min of the Whatcom Road interchange, shopping and Ledgeview golf course. 400 sq. ft unfinished bunker for additional storage.